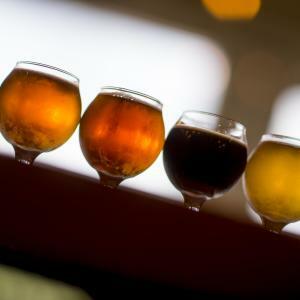 As my husband, the armchair craft brewing expert, has been known to say, “it’s a great time to be alive for craft beer – especially in the Midwest.” And, as irritatingly hyperbolic as I find that statement to be, I’d have to agree. While the hubby and I may not be craft brewers, per se, as fans of the merchandise we feel very spoiled to be living in Topeka as of right this very now. Oh, Topeka craft beer, how do I love thee? Let me write the ways. Shall I compare thy light bodied crisp to a summer’s ale. What’s that, my dear one? Thou thinkest this premise runneth thin? Oh, fine then. We have our biases, that’s for sure. But whether you’re sampling (oh, let’s say) Happy Basset’s Hoppy Basset, the Norsemen’s Odin’s One EyePA or the Blind Tiger’s incomparable Galactic Interstellar IPA (we’re a hops household, can you tell? ), you’d be hard up not to find a quality brew at one of Topeka’s craft breweries. And with a brewery currently making its way downtown, Topeka has recognized its love story with craft brew is indeed still being written. Without a doubt craft brewing is on the rise in Kansas - particularly in good old TopCity. As more and more independent breweries emerge, the practice of craft brewing has become something of an artform: a movement dedicated to quality, originality, persistence, hard-work, passion and spontaneity. And as the movement has grown within Topeka, the community is taking notice, buying local and taking pride in the craft community. 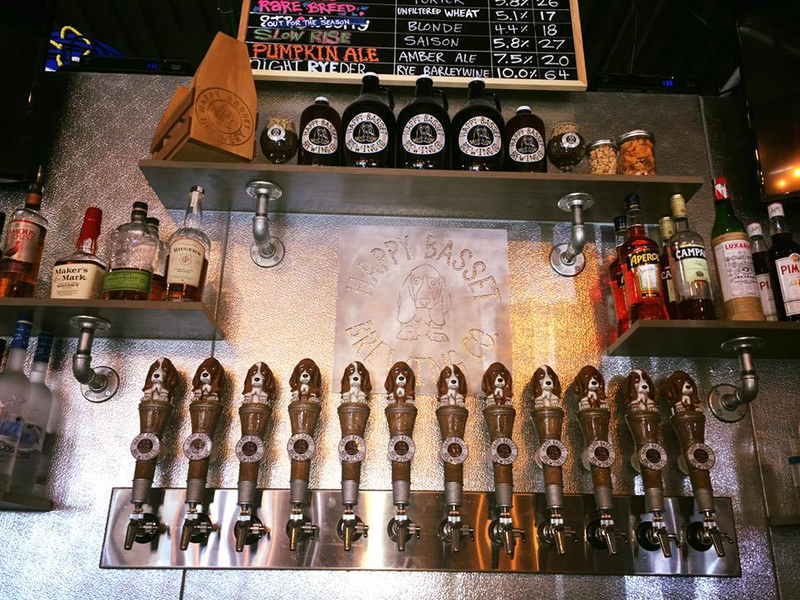 Topeka lays claim to several breweries which have garnered a celebrated status regionally as well as nationally: Blind Tiger Brewery and Restaurant, Happy Basset Brewing Company and Norsemen Brewing Company. Now within in the last year, the burgeoning craft beer community has seen a noticeable influx in the industry with the addition of local brewery Iron Rail Brewing and tap house the Brew Bank, which will be making their arrival on the scene this fall and next year, respectively. But is this new competition likely to hurt the craft brewing market? Not at all, expressed Jay Ives, owner of the Blind Tiger Brewery & Restaurant, and Jared Ruby, co-owner of Norsemen Brewing Co. to the Topeka Capital Journal in its article Craft beer businesses ready to tap into tourism market. Much to the contrary, competition will only will push the brewers to step up their craft. Thus, producing a more supportive community filled with quality brews. Because unlike its Big Beer competition, craft breweries know few boundaries and put experimentation and fun at the forefront of everything they do. It’s an industry overflowing with originality and, better yet, camaraderie. The craft brewing scene also contributes heavily to the tourism market. As craft brewing expands throughout the country, there comes with it a very specific visitor: the curious beer traveler. The explorer who in search of new and distinctive flavors will stay longer to sample the local brew. Even looking at the brewing scene from a local’s point-of-view, the more quality options Topekans have, the more they want to stay in Topeka on their Friday and Saturday nights. What’s more the better the local experience, the more good things residents will have to say about their own backyard. Our city’s craft is our identity. The fact that we have a quality product to brag about builds confidence and shows our purpose not just as crafters but as a city – to try harder; to get better. Crafting better beers, sharing our pride, building the community.